Children ages 5-9 are in for a treat with our Saturday painting classes. Each class will feature a different painting that will be completed on a 12x12 stretched canvas in about 2 hours. To help the child get started on the painting, a pattern will already be on the canvas when they arrive. They'll then go step-by-step in "paint along" style to complete their works of art. 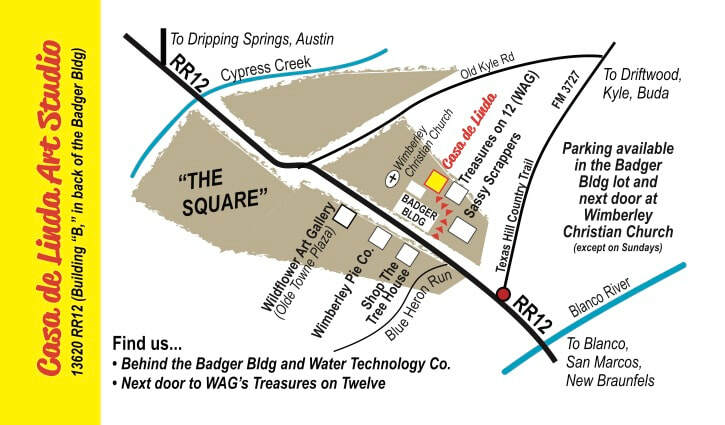 Seating is limited to 8 children per class, ages 5-9. FEE: $25 per student per class. Canvas and use of all supplies plus a snack are included! Scroll down to enroll online. E-mail linda@casadelinda.com with questions about our Saturday Morning Painting classes. 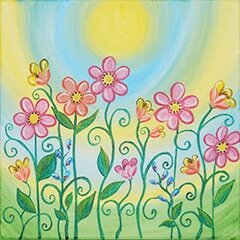 Celebrate Spring with this whimsical painting of pink daisy-like flowers against a colorful sky. Children will practice shading techniques, gain confidence on handling brushes for painting thick and thin lines and about overlapping and proportions as they complete this flower garden in full bloom. 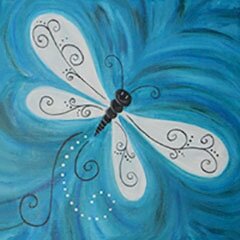 What fun your child will have when he or she gets to paint this decorative dragonfly! Students will get to working on their skills with both shading and line work as well as color mixing. USE OUR ONLINE REGISTRATION SYSTEM TO ENROLL IN THE SATURDAY MORNING PAINTING CLASSES. CLICK ON ON A DATE BELOW TO GET STARTED.